Paige Barlow is a University of Georgia PhD candidate working out of the Coweeta Hydrologic Laboratory in Otto, Nc. Barlow is researching the effects of land use on different species of birds in Macon County. It’s no secret that birds and bird populations around the world are facing serious challenges. A recent article by Cagan H. Sekercioglu of the Stanford Center for Conservation biology published in the Proceedings of the National Academy of Sciences reported that up to 14 percent of all bird species may be extinct or facing extinction by 2100. And even birds not in imminent threat of extinction are experiencing serious population declines. According to Sekercioglu and his co-authors, total bird populations are estimated to have fallen by nearly 25 percent since 1500. Habitat loss along with climate change and the spread of invasive species are perceived to be major contributors to these avian woes. Birds are colorful, fascinating, accessible creatures. These attributes have combined to make birding or birdwatching one of the most popular recreational pursuits and/or hobbies in the world. Whether you’re a “lister”, globetrotting to get to 601 species, or a weekend warrior, spending your leisure time in pursuit of fleeting glances and mellifluous warbles, or a backyard feeder enjoying the antics of chickadees, titmice and hummingbirds through your kitchen window, our feathered friends are sure to please. Biologists, ornithologists and researchers have taken advantage of the public’s interest in our avian neighbors to create numerous ‘citizen-science” projects like the Christmas Bird Count, the Great Backyard Bird Count, International Migration Day, Project Feeder Watch and many more. These events are widely publicized and hugely popular. 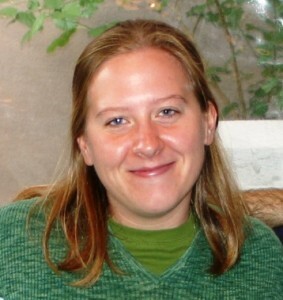 While Barlow will be the primary researcher in the field and at the computer – where she hopes to construct mathematical models from her data – she is seeking public input. Barlow noted that while she would be researching the effects of land use on bird species she also wanted to “…direct my research so that it is interesting and helpful for the residents of Macon County.” To that effect, she has created a survey that lists bird species by habitat and migration behavior. She encourages interested parties to go to http://www.surveymonkey.com/s/9N6YBPC and fill out the survey. Barlow said there are about 100 species listed on the survey but that would be whittled down to a subset of 20 to 30 species. According to Barlow some of the birds generating a lot of interest to date include Swainson’s warbler, cerulean warbler, golden-winged warbler, winter wren, Bewick’s wren and eastern meadowlark. The project will likely span at least three seasons, according to Barlow. The first season will focus on Macon County but will expand after that. Barlow hopes to develop occupancy models based on environmental factors that will be useful across the Southern Appalachians. She encourages everyone who is interested to visit the survey website. If you have questions or would like more information you can contact Barlow at pfbarlow@uga.edu or 832-457-4423.